The EM-Tec high precision super alloy tweezers are Swiss made precision engineered high quality tweezers with smooth edges and a superior matte finish to reduce glare. These superior tweezers are made from a special Ni-Cr-Mo super alloy. This super alloy is about six times harder than anti-magnetic stainless steel with the highest hardness at the tips. These super alloy tweezers can be continuously used at 600°C and exhibit excellent shape retention, fatigue resistance and extraordinary wear resistance. This strong material exhibits excellent corrosion resistance to salts, acids, solvents, oils and greases. The EM-Tec high precision super alloy tweezers are fully non-magnetic and can be used in strong magnetic fields or to pick up magnetic samples. 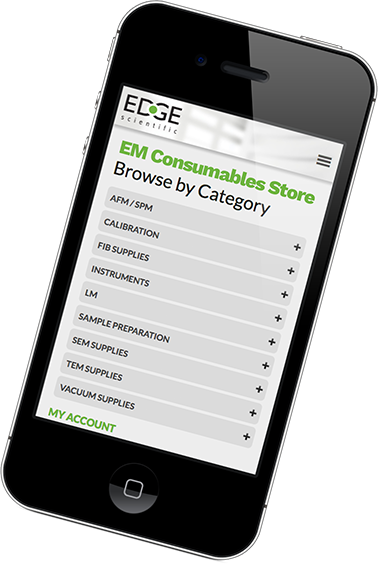 The application fields are wide ranging and include: sample preparation, microscopy preparation, handling in aggressive chemical environments, high temperature handling and handling of magnetic and electronics parts. 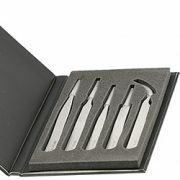 Offered are 7 different styles of tweezers and a set of 5 in foam lined plastic wallet.